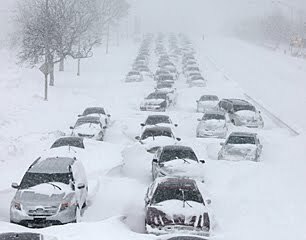 This snow storm will forever be know as the Great Blizzard of 2011. While most people couldn't go on with their daily whereabouts, Kurman Communications is thankful for a great technology known as internet! Restaurant Michael will be closed today but will open tomorrow during regular business hours; 5:30 p.m.-10:30 p.m. Restaurant Michael serves classic haute cuisine in a contemporary presentation with French country flair. The restaurant is open for dinner Tuesday through Thursday 5:30 p.m. -10:30 p.m.; Friday and Saturday 5:30 p.m. -11:30 p.m.; and Sunday 4:30 p.m.-9 p.m. Call for seasonal hours. Complimentary parking is available. Major cards accepted. Be sure to “Like” Restaurant Michael on Facebook at http://www.facebook.com/RestaurantMichael and follow Michael on Twitter at @RestoMichael. Visit www.restaurantmichael.com/ for more information. Bistro One West will be closed today but will open tomorrow during regular business hours for lunch from 11 a.m. to 2 p.m. and dinner from 5 p.m. to 9 p.m. Bistro One West is a contemporary fresh American Restaurant located at 1 W. Illinois St. in St. Charles, Ill. The restaurant is open for lunch Tuesday through Saturday, 11 a.m. to 2 p.m. Dinner hours are Tuesday through Thursday, 5 p.m. to 9 p.m.; Friday and Saturday, 5 p.m. to 10 p.m. The dining room bar is open from 11 a.m. to close. The restaurant is closed Sunday and Monday. For more information, contact Bistro One West at or visit www.bistro1west.com/. Follow Bistro One West on Twitter at @Bistro1West, and “Like” them on Facebook at www.facebook.com/BistroOneWest. Guanajuato will be closed today and will open tomorrow during regular business hours from 11 a.m. to 10 p.m.
Guanajuato is a contemporary Mexican restaurant located at 73 Green Bay Rd. in Glencoe, Ill. The restaurant is open for lunch and dinner 11 a.m. to 10 p.m. seven days per week. The bar is open Monday-Wednesday, 4 p.m. to 10 p.m.; Friday, 4 p.m. to midnight; Saturday, noon to midnight; and Sunday, noon to 10 p.m. For more information or to make a reservation, contact Guanajuato at or online at www.myguanajuato.com/. Follow Guanajuato on Facebook at www.facebook.com/myguanajuato or on Twitter at @MyGuanajuato. Fleming's Prime Steakhouse & Wine Bar will be closed today at both the Chicago (25 E. Ohio St., Chicago, Ill.; 312/329-9463) and Lincolnshire (960 Milwaukee Ave., Lincolnshire, Ill.; 847/793-0333) locations. Please call for details regarding tomorrow's status. 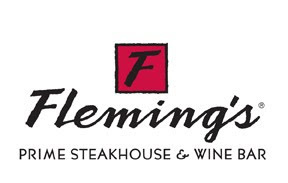 Nationally acclaimed Fleming’s Prime Steakhouse & Wine Bar offers the best in steakhouse dining – Prime meats and chops, fresh fish and poultry, generous salads and side orders—with a unique wine list known as the “Fleming’s 100™” that features 100 wines served by the glass. For more information about Fleming’s Prime Steakhouse & Wine Bar and the Fleming’s 100, please visit www.flemingssteakhouse.com/. City Fresh, Chicago Organics, RAW and Pastoral at the Chicago French Market will be open today! For more information call the market at (312) 575-0306.